On November 26th, the Supreme Court heard oral arguments in Apple v. Pepper, a long-running antitrust case that was originally filed back in 2011 against both Apple and AT&T, which at the time had a five-year exclusivity deal for the iPhone following its initial launch. The claims against AT&T were dismissed in 2013 and the lawsuit seemed to have run its course, until new facts provided by the plaintiffs restarted the litigation. Most important among these was that Apple collected the entire purchase price of sold iPhone apps before reimbursing developers, a fact that allowed the case to move forward with Apple as the sole defendant and the iOS App Store as the proposed monopolistic market. The plaintiffs represent a proposed class of all other Apple customers who have bought iPhone apps on the iOS App Store. They claim that Apple “illegally monopolized the sale of software applications  for use on Apple’s iPhone,” for which Apple receives a 30% commission, a figure that the plaintiffs call a “monopolistic surcharge.” The plaintiffs’ case uniquely applies to Apple because the iOS App Store is a “closed” system, making it the only platform which an iPhone user can buy apps from, unlike on android devices where there are a myriad of purchasing platforms, such as the Google Play Store, Amazon Appstore, and F-Droid. One might think that the focus of the case, like so many other antitrust suits, would be the definition of the relevant market, but the actual issue being litigated on appeal is whether the plaintiffs even have standing to sue Apple. The case was initially dismissed by a federal district court for lack of standing under a Supreme Court case from 1977, Illinois Brick Co. v. Illinois, which said that “only the overcharged direct purchaser, and not others in the chain of manufacture or distribution” may bring a lawsuit for antitrust violations. In 2017, the Ninth Circuit reversed because it found the plaintiffs to be “direct purchasers” of apps from Apple, focusing on Apple’s role as the sole “distributor” of iPhone applications to consumers. The Supreme Court unusually granted certiorari without a “pressing and strong circuit split,” says John Lopatka, an antitrust professor at Penn State Law School. However the Ninth Circuit’s decision does create some friction with an Eighth Circuit case, Campos vs. Ticketmaster, which held that concert venues were the direct purchasers of Ticketmaster’s ticket distribution services, leaving ticket buyers with no standing to sue. Some media outlets are touting a loss for Apple as a chance for consumers to gain a leg up over huge digital platforms, forcing tech “toll-keepers” to be more accountable toward their users. 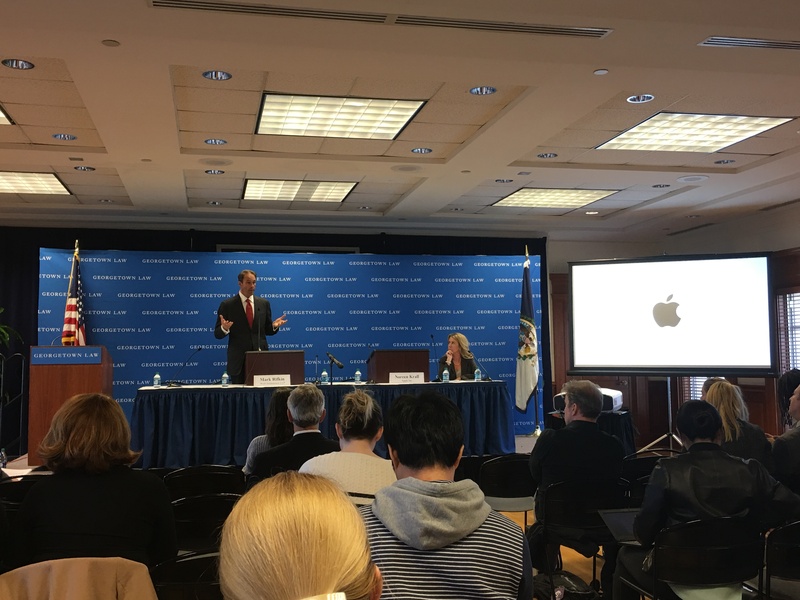 Sandeep Vaheesan, an antitrust lawyer at the Open Markets Institute, says that “platforms and other intermediators that rely on a commission-based model might be able to avoid antitrust liability in the form of lawsuits” if Apple wins. Regardless of which side the Supreme Court takes, the effects of Apple v. Pepper will reach far beyond Apple itself, and may change how both developers and consumers interact with digital platforms for years to come. GLTR Staff Member; Georgetown Law, J.D. expected 2020; University of North Carolina at Chapel Hill, B.A. 2016. ©2018, Eric Westerhold.